^ I heard a lot about them in the past but never checked them out. Maybe i should do that... they're also female-fronted, right? Smart! I have way too many proofreading fails or I'll think of something I really want to add to my post immediately after I hit "Submit." Oh, the latter happened to me a few times already But in the end, my English skills still aren’t the best so I’m sure there are still some mistakes in my posts, but more like phrasing mistakes and not spelling mistakes. Ah, that's a fair point - she could easily pass for younger than her actual 26. Ha, you and your daddies, eh? ;) Does this mean your partner is actually much older than he looks...? Of height, of course! Or waistline, maybe. Nothing else, though! Ha, I've always heard 13 associated with bad luck, but I like the idea of you doing something different than the usual 10th, 15th, 20th anniversary. Yes, I still can’t believe she’s 26! She’s more like… forever 21! Hmm… I never told you how old he is?! So… what would you guess? It's definitely a wild ride that most people will never get to experience, so they're lucky in that regard. I hope they get a fair share of the profits, though (it's not something like 95% goes to the label and the band has to split the remaining 5% among themselves) I don't think they often write or produce their own stuff either, which hurts how much they can continue to make off these songs in the future. That’s an interesting thought. Knowing how strict some contracts are for Asian artists, I wouldn’t be surprised if it’s actually really the way you say (95% label, the rest for the band). But even that way I kinda feel like they’re making so much money at the moment they should definitely be able to live with that money for the rest of their lives – if they don’t throw it out of the window. I think we already talked about this in the past though I’m not really sure, so I’m just asking: Are you a good dancer? Excellent point! I guess you'll just have to start doing it every morning - lights on, windows open - until I get a chance to walk by myself to confirm. Are they seriously calling "Lost In Japan" the second single now? I guess "Youth" and "Nervous" were just buzz-second-singles...? Yeah, there was an article on Billboard stating it’s the second single. Maybe it was wrong though… but that would make sense why “Youth” and “Nervous” weren’t really promoted, which is a shame, as they are both good. “Lost In Japan” is good too, but I’m not really a fan of this new remix… What do you think? I saw her name when I Googled the lyrics to "The Reckoning", since it marked who sings each part of the song. Oh – you googled the lyrics? I already hate you for it, tbh. Thankfully, the UK seems to be on-board, since it's already gone Top 10 there (after "Girls" never made it higher than No. 22). I won't hold my breath for a hit in the US, though :x For some reason, she's always gotten the cold shoulder here (aside from "Black Widow," and I think that one's success had much more to do with Iggy being on a hot streak at the time). I mean...it was an opportunity for her to showcase her voice...I guess? It never made my chart, though. Awww at “I See Fire” :( I think we already talked about Ed’s discography in general a while ago and I think it never appeared on your charts from what I remember, right? • Three straight weeks for "The Reckoning" I didn't realize only two other songs had managed that many (or more) this year! Impressive indeed. • I was definitely blown away by how good Bradley sounds on "Shallow." I'd mostly just associated him with comedies, and had NO idea he can sing like that! • I've never heard of Sophia Somajo before, but she and Alan Walker have created something pretty fabulous here! • A bit bummed to see both "Head Above Water" and "Let You Love Me" leave the Top 10 already, but you did say it was a surprisingly competitive week. • Lovin' that new peak for "N’oublie pas" thanks to the album effect! • Looks like Dancing Queen did...OK? The idea of doing an entire covers album dedicated to a single act does strike me as a bit odd, especially when some of those hits are SO well-known in their original form (in addition to many other covers over the years). I get that it ties in well to her role in Mamma Mia! Here We Go Again, but it's a little hard for me to get truly excited about/immersed in this project. Most of her renditions just seem...fine? Yet another tempting chart, Tansike! I also have no idea who Sophia Somajo is, but she sounds like Sia, don’t you think so? Glad to hear you enjoy this new song by Alan Walker, especially because we just talked about his discography not long ago. Do you mean on my charts or overall? It’s her first entry on my album charts so I think #4 is good enough, plus “Gimme!” is already her biggest hit ever. Overall, I feel like this is such a surprise hit for Cher… but musically, I have to say I expected more songs that would be like “Gimme!”. That one has lots of energy, and some songs on the album don’t have that. So I’m with you on that. Following a very busy week, we’re back to normal as there are seven new entries and one re-entry on the Singles Top40 this week. As for now, Within Temptation isn’t able to tie Ariana Grande for the longest running number one single of the year, as their “The Reckoning” falls 1-3. The reason is one of the new entries. It&#39;s been exactly a year and a half since it all started for Halsey. Well, she already made her charts debut in 2015, but she only was a semi-successful artist up to the point when "Now Or Never" debuted at #7 on the week 15/2017. Since then, Halsey has become one of the most successful artists of the current time, her album "hopeless fountain kingdom" made it to the third spot on the Year-End Charts 2017 and she earned two &#39;Mammy Awards&#39; - Album and Artist of the Year. So it&#39;s fitting to see her new single "Without Me" immediately debuting atop the charts this week. It’s already her fifth Top10 entry this year following “Sorry” (#1), “Alone” (#6), “Strangers” (#2) and “Eastside” (#9). Alan Walker & Sophia Somajo complete the Top3 as their “Diamond Heart” switch places with Lady Gaga & Bradley Cooper’s “Shallow” (2-5) and rises 5-2. Other new and re-entries this week: It’s the album release week for Twenty One Pilots, which is the reason behind a fantastic re-entry for their single “Jumpsuit” at #9. The second highest new arrival belongs to Charli XCX and Troye Sivan, as they teamed up on the song “1999” at #16. It’s already the seventh chart entry for Charli in this year alone out of 14 entries in total, while Troye also already scored four previous entries this year. Tori Kelly makes her charts debut on the Singles Top40 as “Never Alone”, a gospel-song featuring Kirk Franklin arrives at #24. It’s a single from her gospel mini-album “Hiding Place”, which already marked her charts debut on the Album Top20 three weeks ago. Two spots lower is the debut position for “Sucker Punch”, the new single by Norwegian pop-singer Sigrid. It’s her third entry to date, with “Strangers” (#5) and “High Five” (#37) being the other two and both also made it onto the charts this year. From a newcomer to a living legend, as Mariah Carey’s “With You” is the next new entry at #30. It’s the follow-up to “GTFO” which is leaving the Top40 this time after just two weeks. Following the flop of “Growing Pains”, Alessia Cara tries it with another single called “Trust My Lonely”. The track also seems to not taking off, though it enters the charts at #33, three spots higher than the peak of the previous single. Last but not least, Country singer Lauren Alaina owns the seventh and final new entry of the week as she’s new at #39 with “Ladies In The ‘90s”. The singer already scored a Top20 hit with “Road Less Traveled” in early 2017. Other talking points this week: It’s the week after the storm and it already gets clear which ones from the many new arrivals from a week ago may be real hits and which aren’t. The all-star-collaboration “Taki Taki” holds quite well (4-6), Kodaline even reach a new peak with “Brother” (10-8) while Michael Schulte gets his first Top20 notation as “Never Let You Down” rises 26-18. The two Scandinavian artists Aurora and Amaranthe are on the looser side, as the former is dropping 8-20 with “Queendom” while the latter even tumbles down 9-27 with “Countdown”. Inna’s “No Help” still was only available on YouTube up until last week, but the song finally got its iTunes and Apple Music release, which helps the song a little bit (20-14). Meanwhile, two of the biggest hits of the year have to leave the charts with Bebe Rexha’s “I’m A Mess” and Amy Shark’s “I Said Hi”. Michael Schulte’s “Never Let You Down” is the biggest climber while Amaranthe’s “Countdown” is the biggest loser this week. Similar to the Singles Top40 it’s also a much calmer week on the Album Top20 compared to a week ago, as two new entries are the only change on the charts this time, though both of them battled for the top spot. In the end, it’s the Soundtrack for ‘A Star Is Born’ which got it, a collaboration between Lady Gaga and actor Bradley Cooper. While this is the very first notation for the latter, “A Star Is Born” becomes Lady Gaga’s fifth consecutive top debut and seventh number one album in total, which is her whole discography. It’s her second entry with a duet album following 2014’s “Cheek To Cheek” with Tony Bennett, which is certified with Gold. All of her other releases – “The Fame”, “The Fame Monster”, “Born This Way”, “ARTPOP” and “Joanne” – are all certified with multiple Platinum, with the 5x Platinum certified “The Fame Monster” being her biggest success to date. 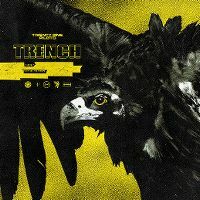 The other new entry is “Trench”, the new album by Twenty One Pilots. Following their big breakthrough with “Blurryface” in early 2016, “Trench” becomes their second chart entry and also second album to peak at the runner-up slot so far. Noah Cyrus’ “Good Cry” EP falls 1-3 after two weeks atop the charts. Other talking points this week: Ariana Grande’s “Sweetener” (5-4) and Carrie Underwood’s “Cry Pretty” (3-5) both remain in the Top5 for yet another week. 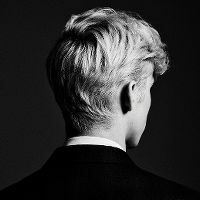 Meanwhile, Troye Sivan’s “Bloom” keeps on falling a few spots each week as it’s down 6-8 this time, though it’s still in the upper half and even goes Gold this week. It’s his very first certification ever, as none of his singles or previous albums went Gold so far. Nicki Minaj also has a reason to celebrate as her “Queen” goes Gold too (19-17). Kodaline’s “Politics Of Living” (8-11) and Mylène Farmer’s “Désobéissance” (7-13) have to leave the Top10. The drop is real...I am actually alright with this one. ^ The song didn't really get me (yet). I hope the album release in a week may change this. Also, even though i'm still quite new to Amaranthe (this will be my second album by them), i already feel like the thing they're doing is the same over and over and over again. yass at the WY debut. A future #1, I assume. I just checked out your #1, and it's so uneventful. I also listened to "Pressure", and I liked it. I notice "With You" debuted at #30. Hope it climbs this week! Oh, and it's interesting how I was just writing in JakeP's thread that the Alan Walker song featured Kerli-esque vocals, and now I see the track here. I don't know if I was just imagining that because of the song title, though. Thanks for checking out "The Reckoning" and i'm very happy to hear you're enjoying it! Aw, it's sweet that you remember this! You were born on Friday the 13th? That's awesome! I don't think I've ever asked: are you into horror movies at all? Ha, yeah, I was seeing if they might give me more inspiration for my "Yet another ____________ chart" sign-off at the end of my post, since I don't know many synonyms or wordplay for "reckoning." Phew! I'll gladly take that review I think the fact that Miguel gets so much of the track to himself helps the song make a better impression on people who usually aren't as crazy about Mariah. Yeah Her biggest Hot 100 hit (aside from "Black Widow") has been the No. 62-peaking "How We Do (Party)." WAY too many British acts (with plenty of mainstream hit potential) get snubbed here, and I TRULY don't get it (Rita, Little Mix, Cheryl Cole/Girls Aloud, Years & Years, Jess Glynne, etc). ...but at least "Let You Love Me" is officially a UK Top 5 smash now! Whoops! Well, there's a perfect example of a proofreading/closer-reading fail on my part. Ah, OK - so we're both somewhat underwhelmed by the album overall, but for different reasons. I think some of the ballads (especially "One Of Us," but also "Chiquitita") actually stand out/redeem the album the most. A lot of the uptempos feel too similar to the originals for me (or they just don't offer an interesting enough twist to make me want to play them over the originals, or even over other cover versions, like the A*Teens's "Mamma Mia"). • Nice little rebound for "Let You Love Me." • I was so excited for "1999," and it's just...fine. I mean, I'd still take it over most of the stuff that's smashing on the Hot 100 right now but both Charli and Troye have done SO much more for me before, this just feels like a leftover/afterthought by comparison. • "GTFO" didn't stick around for long, but at least "With You" swooped in soon after! Could Caution become your first Mariah album experience...? • Speaking of not sticking around, poor "All For You" really needs to slow down! • I haven't seen A Star Is Born, but I added the solo-Gaga songs to my library to treat like a new EP from her. Since the soundtrack managed that No. 1 debut, which tracks have you been enjoying besides "Shallow"? Yet another chart that's fine with me, Tansike! Aww... sad to hear you don't like Halsey's new track that much. I think it's very catchy and a strong pop tune. Not as strong as some of her stuff on "hopeless fountain kingdom" (her last album), but still strong enough for a new single. But i don't remember you being enthusiastic about any of her tracks, so you're not the biggest fan of her anyway, right? Glad you enjoyed "Pressure", definitely the best Muse has released from their upcoming album so far! Thanks! Interesting point, as I’m surprisingly also quite harsh on mistakes/typos made by others. I don’t see my own mistakes/typos all the time, but you can give me a huge text by someone else and the first thing I see are the mistakes/typos (if there are any). Well, I learned it in school. We have nine grades here and I had it from seventh to ninth grade, plus two and a half years during my apprenticeship (as I always had two days school a week and one of my subjects was English). Though I never really learned for school so most of my English skills actually come from UKMix. When I joined in January 2012 I was much worse with English but writing on here has helped me a lot. Also, I never talked it (only had to write it), but since last year, my partner’s sister in law lives in Switzerland and moved here from the US (Texas) so there’s also finally someone I can speak to in English. Haha yeah he’s very lucky with his genes Honestly, age is just a number. Sometimes he’s acting much younger than I do and sometimes it’s the other way. It already happened that the age difference wasn’t helpful (as I’m still not used to things he’s used to) but overall it really doesn’t matter at all in our case. On one side, yes, I enjoy having a man who is older and can show me things, on another side I’m sure I also wouldn’t mind having someone younger. I never really thought about it and it is how it is. Yes, I was born on Friday the 13th… no, not at all :( Like, really not at all. I always get nightmares watching horror movies. Sometimes I’m trying it out and now I’m at least ‘able’ to watch things like Alien but I guess you mean other horror movies, right? Do you like them? They actually performed in a cave, a very unusual location. Oh I don’t think I’d enjoy that! Ah so similar like me! Talking about her… do you have a favorite album by her? Like, if I’d have the time to check something out from her, which one would you recommend the most? Hmmm… it’s been just a week and my view on the album already changed, as I’m surprisingly already over it now Like, it’s nice and all, but after hearing it a few times I suddenly got the feeling like it’s just a simple karaoke album. It’s fun at times but overall I don’t even see the purpose of this if ABBA’s originals are just *SO* good. So as you say, doing covers which are so similar to the originals just isn’t the best idea. But hey, it seems to work really well for her on a commercial level so that’s cool. Oh thank god! I was afraid I’d be the only one who is underwhelmed by “1999”. I mean, it’s Charli XCX AND Troye. I expected something more epic. That way it’s a nice but also quite forgettable song, so I’m completely on your side with this. It could – and I’m sorry, I just remembered that I already own one of her albums, though it’s not a proper one: “Merry Christmas”! Mostly the Gaga songs, especially “Why Did You Do That?”, “Heal Me”, “Before I Cry” and “Always Remember Us This Way”. The soundtrack has been such a positive surprise for me and I hope I can watch the movie soon – I just need someone else to come with me Can’t wait to hear your feedback about the Gaga songs, they’re really good! Following a rather surprising release of a video for “Breathin”, Ariana Grande’s track finally makes its way to the Singles Top40 and immediately becomes her fourth song to debut at number one this year alone, following “No Tears Left To Cry”, “The Light Is Coming” and “God Is A Woman”, which still owns the title as the longest running number one single of the year with four weeks. “Breathin” serves as the third official single of her fourth album “Sweetener”, and it’s her 14th chart topper and 29th chart entry in total. 2018 ties 2014 as the year with most number one entries for Ariana now, as “Problem”, “Break Free”, “Best Mistake” and “Love Me Harder” all reached the summit back then. It’s a great week for Ariana overall, as her other two singles also increase this week, with “God Is A Woman” jumping back up 12-5 and “No Tears Left To Cry” returning 17-11. It’s not the most exciting week when it comes to new entries, as apart from “Breathin”, only four more new and two re-entries made it onto the charts. The Top3 from last week all just go down one spot each with Halsey’s “Without Me” (1-2), Alan Walker’s “Diamond Heart” (2-3) and Within Temptation’s “The Reckoning” (3-4). Other new and re-entries this week: British girl group Little Mix are back with the new lead single their upcoming new album, which will simply be called “LM5”. The track is called “Woman Like Me” and is new at #16, which is their third Top20 hit and seventh chart entry in total. The track features Nicki Minaj, who has made nine entries on the Top40 in this year alone now. It’s a very good week for former ESC contestants. While Michael Schulte reaches a new peak with “Never Let You Down” this week as well (18-13), there are three new entries by former ESC contestants this week. The highest one belongs to Anna Rossinelli, the Swiss contestant from 2011. Her (or their) new single “Hold Your Head Up” debuts at #19, closely followed by Mikolas Josef, who represented the Czech Republic this year. His new single is called “Me Gusta” and enters the charts at #20. Benjamin Ingrosso is also from this year and represented Sweden. He’s also getting another entry with the single “Behave” at #26 following the release of his debut album. The two re-entries both belong to the same artist, and that’s Jess Glynne. The singer has finally released her second album “Always In Between”, which has spawned the two singles “I’ll Be There” and “All I Am” so far. 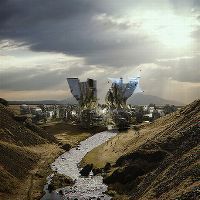 Apart from her Clean Bandit collaboration “Rather Be” (#20 in 2014) and the surprise hit “Take Me Home” (#3 in 2016) the singer has yet to get another Top20 hit, as both of the latest singles also underperformed so far. But the album release boost brings “All I Am” to a new peak (#25) and “I’ll Be There” to its previous peak (#36). Other talking points this week: The video release for “Taki Taki” didn’t bring the expected hype and so the song falls down a few spots for yet another week (6-8). “Jumpsuit” by Twenty One Pilots (9-12) and more surprisingly “Right Now” by Nick Jonas and Robin Schulz (10-17) have to leave the Top10, though the latter goes Gold this week. Also rather unexpected is the drop for Avril Lavigne’s “Head Above Water”, which drops 13-21 in its fourth week. “Never Alone” by Tori Kelly moves up 24-23 for a new peak, while Years & Years’ “All For You” (31-28) and Sotiria & Unheilig’s “Hallo Leben” (40-37) are both able to rise as well even though they fell a lot in the past weeks. 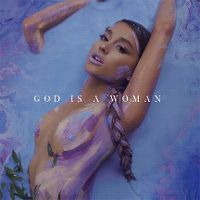 Ariana Grande’s “God Is A Woman” is the biggest climber while Aurora’s “Queendom” tumbles down 20-39 as the biggest loser this week. Even though there’s one new arrival more than a week ago, none of the three new releases came even close to be a competition for the top spot. 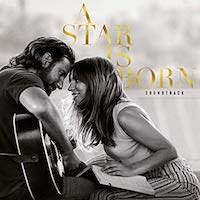 The soundtrack for ‘A Star Is Born&#39; repeats its success from last week and spends a second week atop the charts. It becomes one of five albums with multiple weeks at number one and with Lady Gaga’s name on it, following “The Fame” (two weeks), “Born This Way” (two weeks), “ARTPOP” (three weeks) and “Joanne” (six weeks), plus it’s already the seventh album this year to spend its first two weeks or more atop the charts out of 12 chart topper with multiple weeks atop the charts in total. Following the success of “Breathin” and also the ongoing performances with “God Is A Woman” and “No Tears Left To Cry”, it’s no surprise to see Ariana Grande’s current album “Sweetener” still being inside the Top5 and even rising 4-2 this week. Depending on this weeks new entries, it may get ten consecutive weeks in the Top5 the next time! Twenty One Pilot’s “Trench” dips 2-3 and makes the Top3 complete. 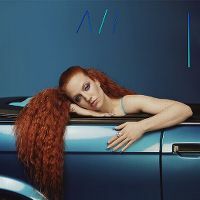 Having made at least a minor impact on this weeks charts is the highest new entry called “Always In Between”, the sophomore studio album by British singer Jess Glynne. The set arrives at #4, which is already better than the #6 peak of her debut “I Cry When I Laugh”. That one debuted and peaked at #8 at first three years ago, but got a second life in early 2016 following the success of her only real hit to date, “Take Me Home”. Other new entries this week: Benjamin Ingrosso represented Sweden at this years Eurovision Song Contest with the track “Dance You Off”, and the singer has finally released his debut album “Identification”. The set starts at #7 becoming only the second album entry for one of this years ESC contestants following Saara Aalto’s “Wild Wild Wonderland”. Argentinian TV star Martina Stoessel – or simply TINI – already surprised with the success of her debut album “Tini” two years ago (#6, 7 weeks in the Top20). Its follow-up is called “Quiero Volver” and starts a little bit lower at #8. There’s also a re-entry near the bottom of the Album Top20, and that’s most likely the most surprising move about this weeks charts. It’s been three years since Ellie Goulding has released her last album called “Delirium”, and it’s been absolutely quiet around her for ages. And even though there are still no news about an upcoming new music project, the mentioned album “Delirium” is able to make a little comeback this time at #17. Other talking points this week: Noah Cyrus’ “Good Cry” EP already falls 3-6 after its fantastic start. 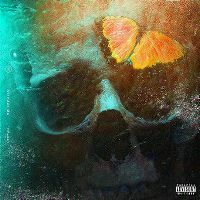 My Indigo’s “My Indigo” only drops one spot, though it has to leave the upper half of the Album Top20 for the very first time in its 26th charting week (10-11). David Guetta’s “7” (9-13) and Cher’s “Dancing Queen” (7-18) also leave the Top10 this week, with the latter having a rather shocking drop this time. Well it's about time! But i'm so happy that breathin now qualifies for your chart. It's already well on its way to being one of my big songs of the year, and is still holding up strongly in my weekly charts. I'm also delighted that Diamond heart was able to improve on its #5 entry as i had a gut feeling that would be its peak. Alan Walker is definitely back at the top of his game with this slice of synth blissfulness. Cool rebound here, is it a knock on effect from the new arrival of breathin. Whatever it is, it's very good. Could the year end chart consist of an all Ariana top 3? Actually has any artist ever held positions #1, #2 and (or) #3 in your year end charts? So i might be going to see this on Sunday if all goes to plan. I was hoping to go last Saturday with my mate but he didn't want to go. Now there's potentially 4 of us going to see the film. If so, it could have an impact on my chart although the results won't be known until my chart dated 27th Oct. Excitement! Not gonna lie, i'm slightly disappointed with this. I do like Woman like me and its looking set to enter my chart...but it'll be the girls first lead single from a new album to miss my #1 spot. In fact it might fail to crack my top 10 which is kinda tragic by Little Mix standards. I can only hope the next single will be a more JakeP friendly. This just might be your finest #1 of the year, and one of the best ones you've ever had. It's such a therapeutic joy. It's helped me through many stressful work days since August. On the minus side, you've knocked "With You" out after just a single week on the chart. Good debut for "Woman Like Me". That turned out to be a big grower for me. 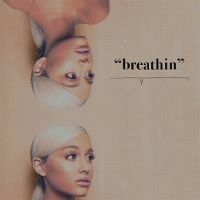 Excited to see if "Breathin" can fend off the tracks from all those new releases you highlighted in the Random Thought thread! I was a big fan of "Colours", and thought "New Americana" was interesting. I knew you would love that debut! This was a case of a song where I wasn’t sure if I should let it onto my charts or not, and I was waiting for an official confirmation about it being a single all the time, because it deserved an entry for ages. I’m glad she released a video now, so it was finally time to let it onto my charts… and how cute is that video?! It will be exciting to see all the Year-End Charts this time as I think Ariana’s three singles will do well on most of them. She really slayed in 2018. It’s 50/50… “Breathin” also plays a part in this rebound, but I enjoyed “God Is A Woman” so much last week compared to the previous weeks so it would have climbed without the arrival of “Breathin” as well. Well, don’t think Top3 is possible as “Breathin” came out a bit too late (or it would need to be near the top for the rest of the year, which will be difficult…) but who knows, maybe she’ll get the Top2? No, it never happened before, though Lana Del Rey came close in 2012 with “Video Games” (#1), “Born To Die” (#2) and “Blue Jeans” (#4). Loreen’s “Euphoria” prevented that achievement. Oh, that’s great! Maybe I can convince my partner today as it’s still unsure what we’ll do this evening. I hope I can see it, the reviews are amazing, the music is strong and it’s Lady freaking Gaga! I had a little Gaga day yesterday and listened to “The Fame”, “The Fame Monster”, “Born This Way” and “Artpop” and I remembered how big her influence on me was since her breakthrough. I'm at a point where I can finally say that based on material, she’s actually my favorite artist ever. It’s kinda good to hear that from you, as you loved them so much in the past and I really didn’t know what to think of this, and it seems there are a lot of people who are disappointed. I also expected a stronger comeback It also won’t have a long life on my charts as I’m already completely over it… :( Yes, fingers crossed the second single will be more our taste or maybe it will grow on us once the album comes out. Maybe she can try to represent Switzerland once again in the ESC in the future. She has improved so much since 2011, especially in the vocal department. Also, the music video has just been released. I had no idea you’re loving “Breathing” THAT much! I still prefer the other two singles from “Sweetener” but it’s definitely another very, very strong single from her. She really released the three best songs of the album and has three of the best songs of the year overall. Ah, good to hear that! I’m still a bit disappointed and I hope it also turns out as a grower for me! Well, it will be tough for Ariana next week. Lindsey Stirling and Zara Larsson are two huge competitors based on how they’ve done in the past, and there are rumors about a new Within Temptation single which may drop later today as well. Yes, that would be a great idea! I only became a fan of them with the second album, they released some good songs which could have done better on the contest than their entry. WT is still my number-one.. a pity the new single wasn't released this week! It's amazing to see "Breathin'" on top of your chart,though! Cute video & excellent song! And it's great to read that it's the fourth consecutive Ariana #1 single on your chart in this year alone!!! IMPRESSIVE! It's nice to see Czech Republic's hottie's new song debut so high and "Hold Your Head Up" is great as well! She deserves to get another shot at Eurovision! ^ Oh, still your number one? That's awesome! I got a little bit back into "The Reckoning" but there are currently so many strong new releases, so the competition is strong. Also, i'm a little bit happy they actually didn't release "Raise Your Banner" this week, as there is another new release which amazed me so much that it will be the clear #1 for my next chart, so WT would've settled down for #2 or so. Ariana is slaying this year :cool: Fingers crossed "Breathin" also becomes a hit on the charts out there! Glad you're enjoying these two ESC-related new entries, and i agree about Anna Rossinelli. But i think she got over the contest now and built her own thing. Not many artists can do that... and now that she has a career, she probably has more to loose than to win. Harsh but that does mean you'd make a great proofreader/copy-editor/etc! Ha, that's a really fun factoid that you were actually born on Friday the 13th...but BOO @ you hating horror movies I haven't seen many of the modern/2010's ones, but I'm pretty familiar with the big 70's/80's classics like Halloween (I still need to see the new one, though! ), Friday the 13th, Texas Chainsaw Massacre, Child's Play, etc. For me, those are the perfect way to get scared in a fun, safe way (as opposed to stuff like roller coasters, which genuinely terrify me and make me miserable the entire time). Like a literal cave in a mountain or something? Unusual indeed! Was there some significance to choosing a location like that...? Ooh...I love you for asking, but it's such a struggle to choose! Butterfly is a huge fan favorite, and probably mine as well (though it's been a while since I've played through all of her albums to compare)...but it's also when she started really leaning into R&B, so I'm not sure if it would be the best recommendation for you specifically. Daydream is a better compromise between her poppier beginnings and R&B/Hip-hop-flavored evolution (and it's another of my all-time-favorites from her). Although this is kind of a lame answer, the best place to start is probably her Greatest Hits (it only covers her material up to 2000, but you're probably already more familiar with her singles after that anyway) or #1 To Infinity. Greatest Hits was actually the first album of hers that I ever bought back in 2002, and it REALLY helped turn me into a fan (after only being familiar with some of her big/most recent hits beforehand). No pressure, though! Sadly, that era seemed to really derail after "Bad At Love" smashed so hard :-? "Alone" got that new version and video, but the public (shockingly) said "pass"...then "Strangers" got an (underwhelming) video, but wasn't treated like a proper single in any other way. I wonder if the fact that some of her featured singles started doing well/stealing the spotlight ("Him & I," "Eastside") convinced them against investing more in HFK. Phew! The video definitely deserves some credit, though. 38 (35) David Guetta feat. Anne-Marie – Don’t Leave Me Alone? • Pork powers ACTIVATE! Although the video's certainly not what I expected (or quite what such an epic song deserves), I LOVE that it lead to this No. 1 debut! So My Everything eventually produced five No. 1 hits here, which means Sweetener is just one short of achieving the same now? • If I remember right, Little Mix were starting to really click with you last era, right? Hopefully they haven't undone all of that with "Woman Like Me." • Pleased to see those Always In Between re-entries, especially that new peak for "All I Am" Has anything else on the album been standing out to you? I never checked out I Cry When I Laugh, but based on the first two singles (and the convenience of Apple Music), I gave Always In Between a try. Glad I did! Yet another chart that's like a breath of fresh air, Tansike!